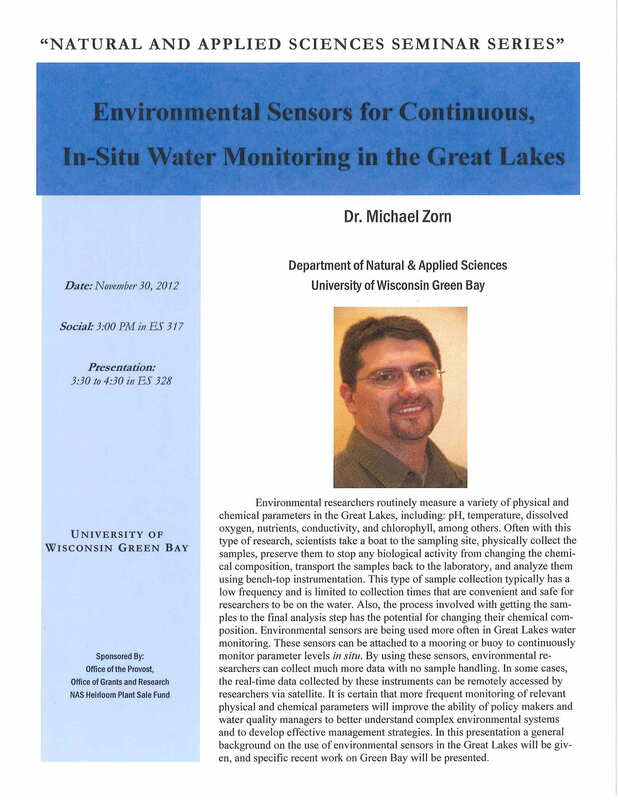 On Friday, November 30th, Dr. Michael Zorn will present “Environmental Sensors for Continuous, In-Situ Water Monitoring in the Great Lakes”. 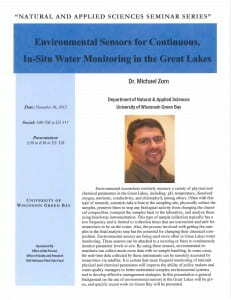 The seminar begins with a social at 3:00 p.m. in ES 317 and continues with the presentation at 3:30 p.m. in ES 328. 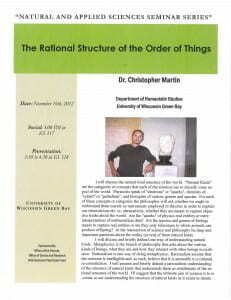 On Friday, November 16th, Dr. Christopher Martin will present “The Rational Structure of the Order of Things”. 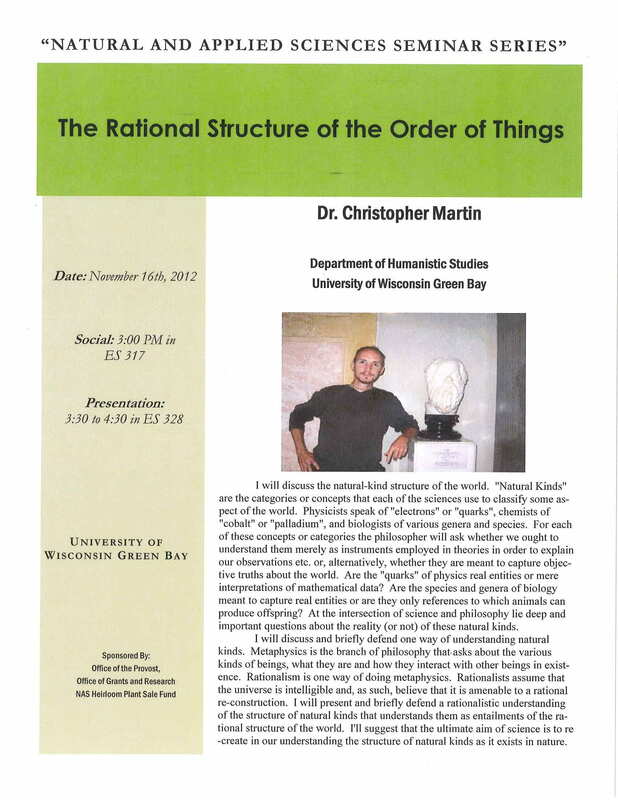 The seminar begins with a social at 3:00 p.m. in ES 317 and continues with the presentation at 3:30 p.m. in ES 328.